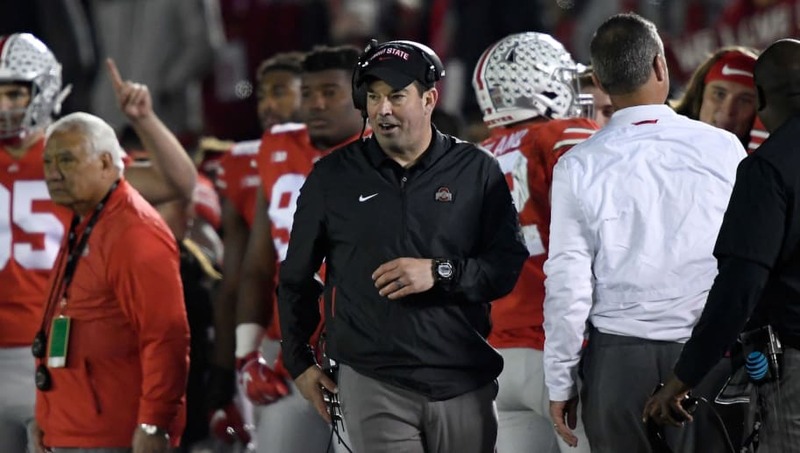 ​With the legendary ​Urban Meyer no longer on the ​Ohio State sideline, the Buckeyes will look different in 2019. As their ​spring practices come to a close, new head coach, Ryan Day has been busy trying to leave his mark on his new team. The buzz around Ohio State has been positive for the most part this Spring. But one thing that'll be noticeably different about this year's annual spring game is the lack of tackling. Ryan Day said the spring game will be "thud" and not full tackling. Does not think it's worth the risk of injury. For those who aren't exactly sure what "thud" entails, it essentially means there will be no wrapping up and taking to the ground. With the way the game is played today and the emphasis on player protection, this makes sense for Day as he enters his first year at the reigns. The worst thing that could happen to a first-year coach is losing an impact player to injury before the season even starts. It's a setback I'm sure Day is trying to avoid here. The 'thud' rule won't be the only new wrinkle in OSU's spring game this year either. Day stated that he won't have a spring game draft either to ensure he has starters going against starters. Ryan Day said there will not be a spring game draft this year, because they want to have "good on good." Since players like Chase Young will only play sparingly, some players will play for both teams. Going against backups doesn't help with development nearly as much, which is probably Day's thought process here. Ohio State will have their spring game this upcoming Saturday at Ohio Stadium.